A lovely blue/purple shade. 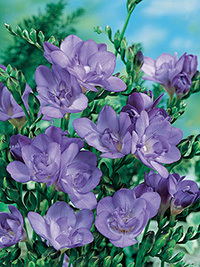 This freesia is very double and would make a great commercial cut flower variety. Fragrant, 40cm.